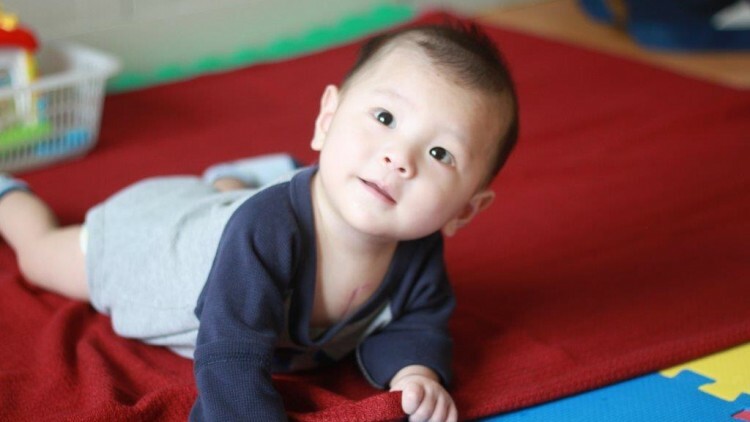 Gerhardt "In Sickness and in Health"
[INOPERABLE HEART-IN NEED OF A HEART TRANSPLANT - ADOPT IMMEDIATELY] This is what the caption read underneath a photo of a baby orphan boy living in China. I thought to myself, yeah, "Why not him? Why not adopt him? Pierced to the very core of my being and with a sense of urgency-I cried out, "I will run to you baby boy with all of my heart!" My husband and I decided that we loved him, no matter what the cost. By cost, I mean, risking all, knowing that he might be ours for just a short time. God drew me to baby Cheng. God showed me this baby's preciousness. I loved him instantly knowing I was risking the most excruciating pain of all, what if he dies? I vowed that I would be there for him "In sickness and in health." I vowed to God that I would love him, care for him, and let my heart break, so that little Cheng would know the love of a mommy's heart. God chose me to be Gerhardt's mommy. So, last October, I ran to him. Before I knew it I was on a plane bound for Beijing and the next day he would be in my arms. I will never forget the moment he became my son. I walked through the doors and there he was wearing a little red shirt with white bold lettering that read - HEART BEAKER. As I held him, I looked into Gerhardt's eyes and told him that Jesus loved him and everything would be OKAY now. He wouldn't have to go through life alone anymore.